If you've been following the blog, you've probably noticed that many of my looks play with navy jackets and lighter color bottoms. This picture is perhaps from three weeks ago, and I suppose the outfit is really my "go to outfit" for most occasions. 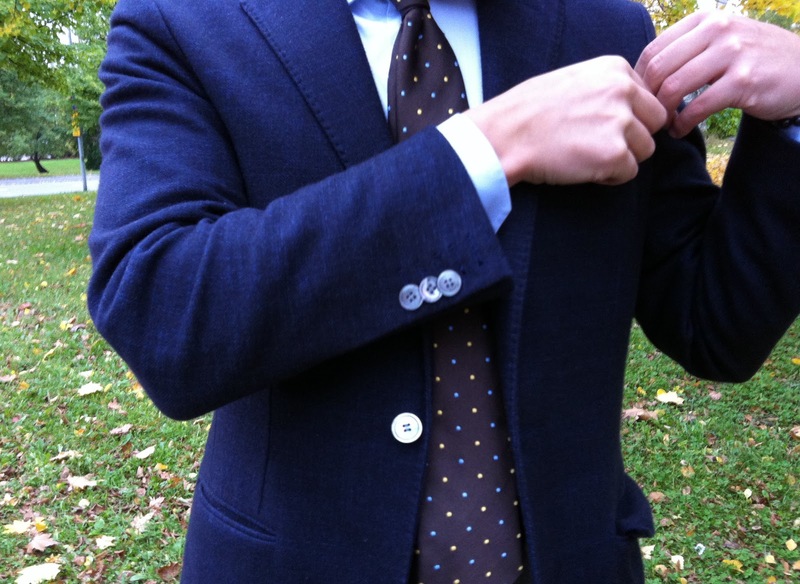 The jacket navy with unstructured shoulders, sky blue twill spread collar shirt, brown tie with blue and yellow pindots and a light blue cotton pocket square. 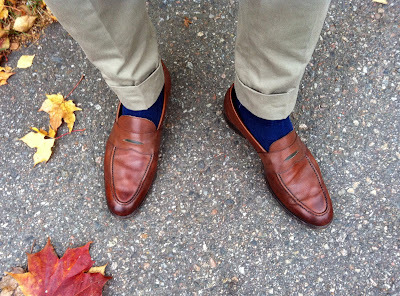 This time with olive cotton chinos, brown loafers and navy socks. All of which are really key building blocks of my wardrobe. 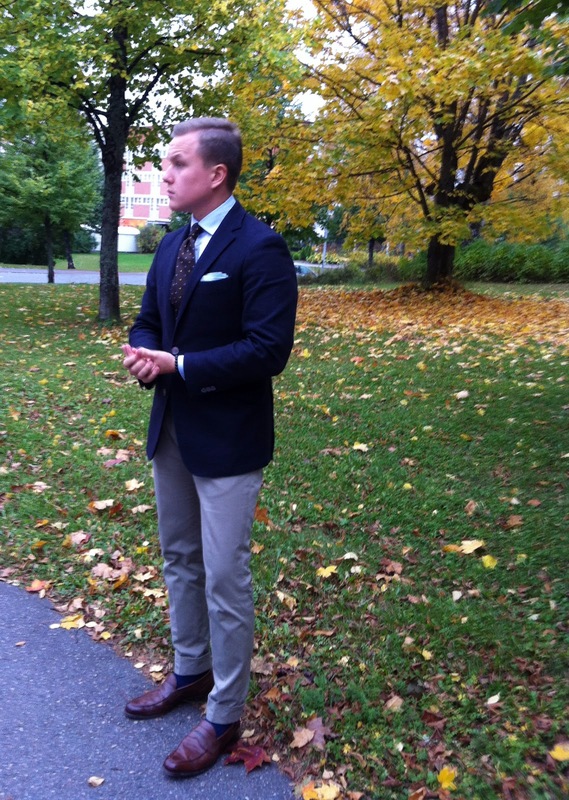 The Incotex trousers have been pretty solid, no complaints. Here with Cheaney loafers and navy cotton socks. Hey, this one if from SuitSupply. The navy jacket is, in my opinion, the ultimate men's piece. Whether as a blazer, odd jacket or part of a suit. It makes me feel so European. Not sure if we Europeans can say we own the color, but it is truely the best color out there. And not just for suits or odd jackets.